Classes Continue to Be Popular! 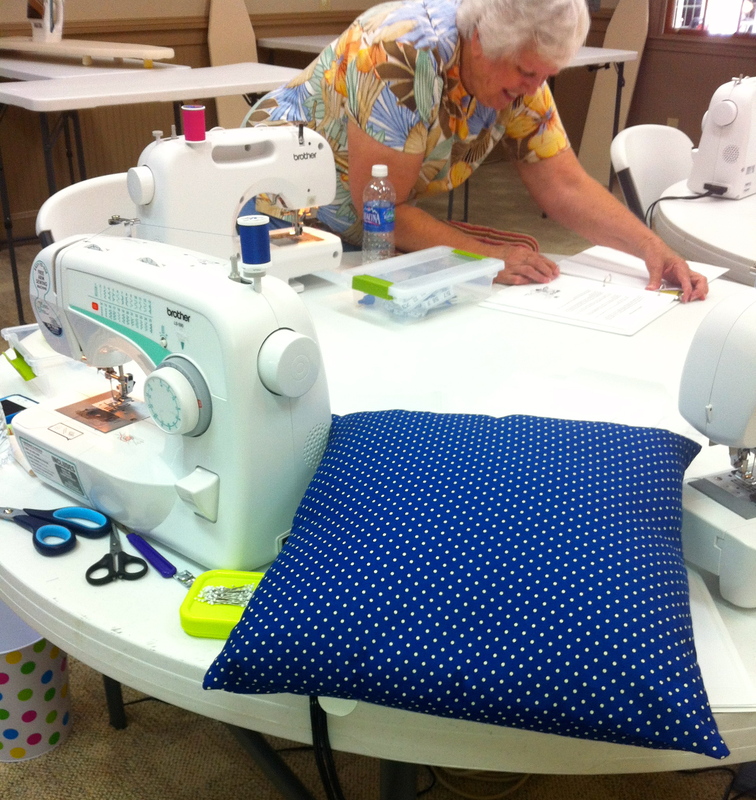 We are just finishing up our Sewing 102 course, and will begin our Sewing 101 again on September 11. The new night class is full, but we still have availability in the morning class. The ladies from these first two classes have been so much fun! They have learned so much, and have had a great time doing so. In fact, many of them did not want the course to end. 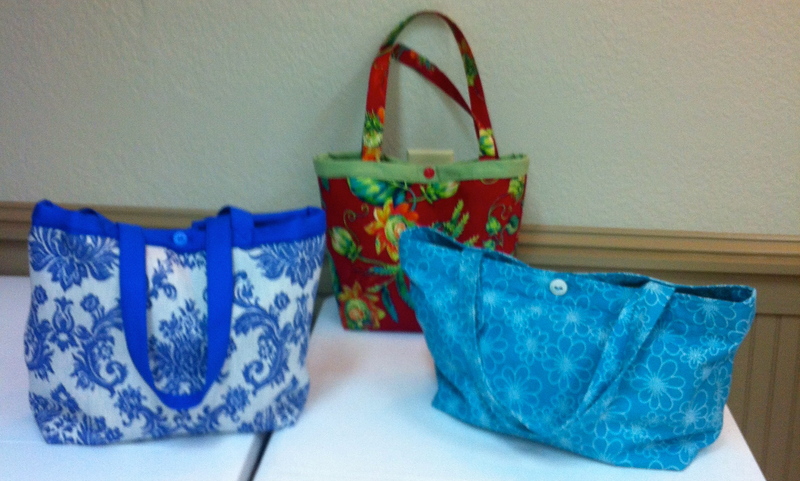 So we are adding an open sewing studio time on Thursday evenings, twice a month! Students will bring their own projects in for individual advice and guidance. It should be loads of fun! Here are some of the things made by our fantastic students! 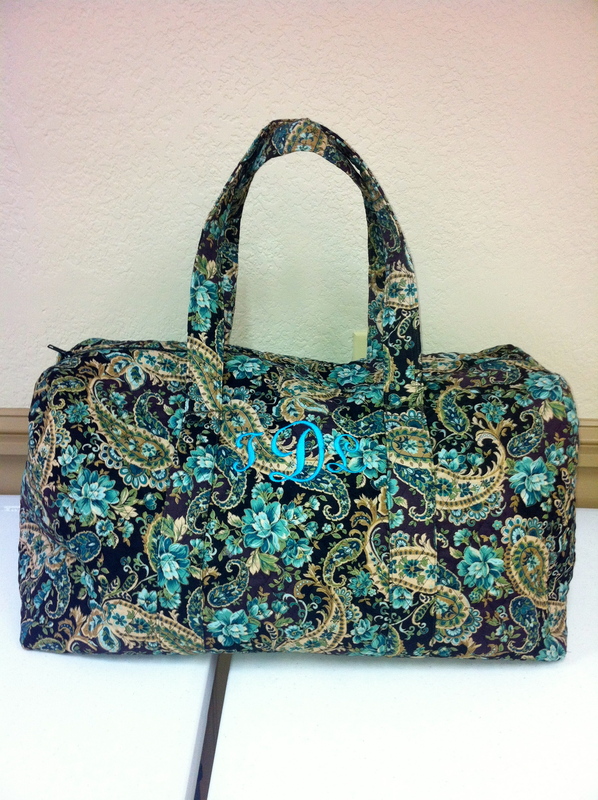 Sarah’s duffle is just gorgeous! 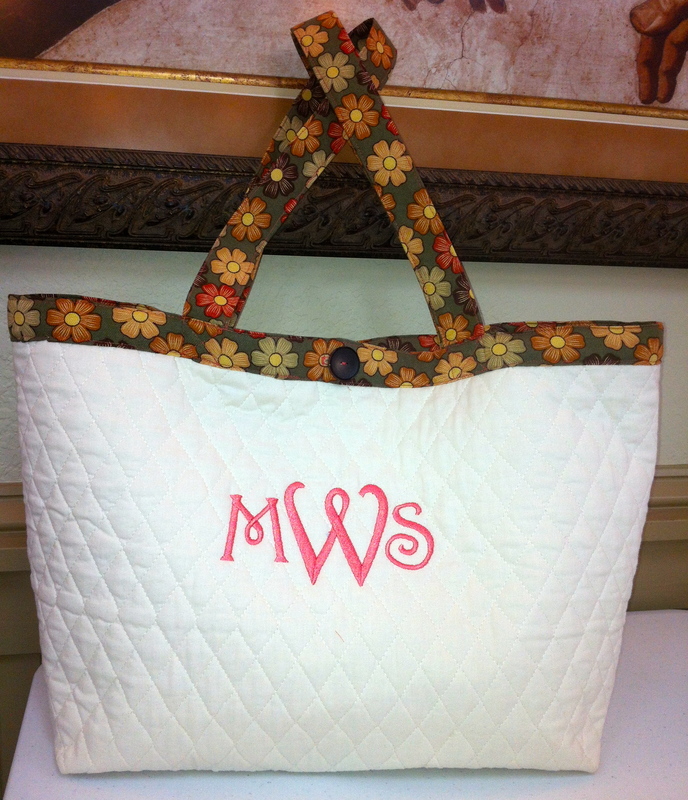 She even had her mom add a monogram! 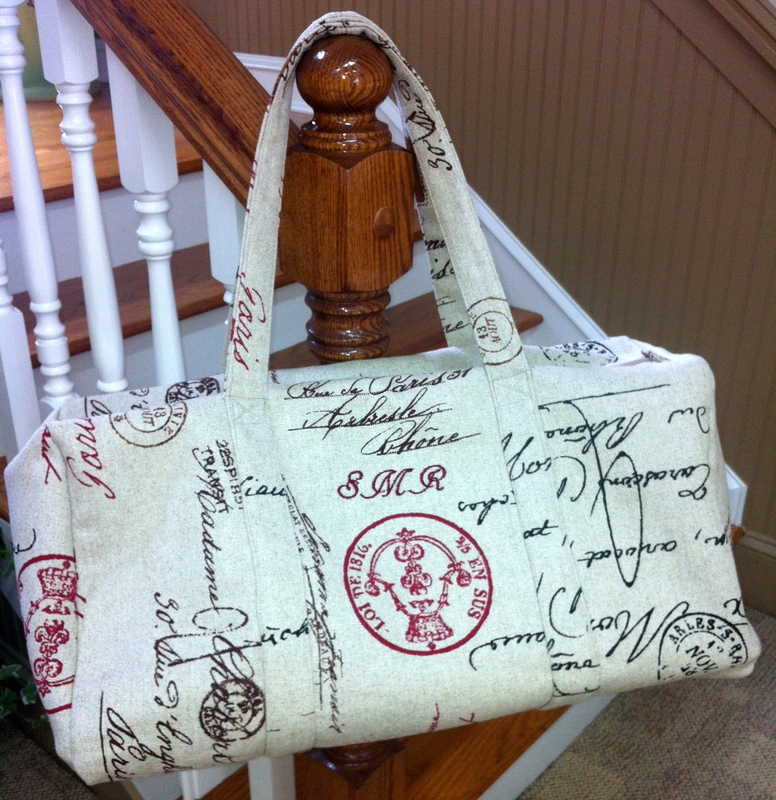 Martha chose a cream quilted fabric for her tote, and lined it with a brown print. Karen monogramed it for her. Just beautiful! 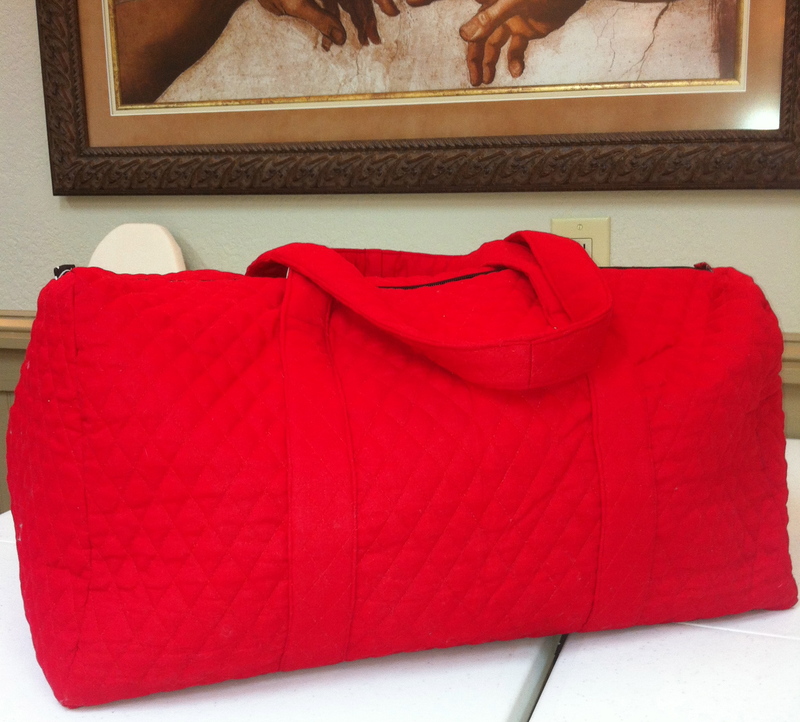 Jill made her pretty duffle out of red quilted fabric, the same fabric she chose for her tote. They are both lined in a black and red print. She plans to use it for tailgating this fall in Athens. Go Dawgs! 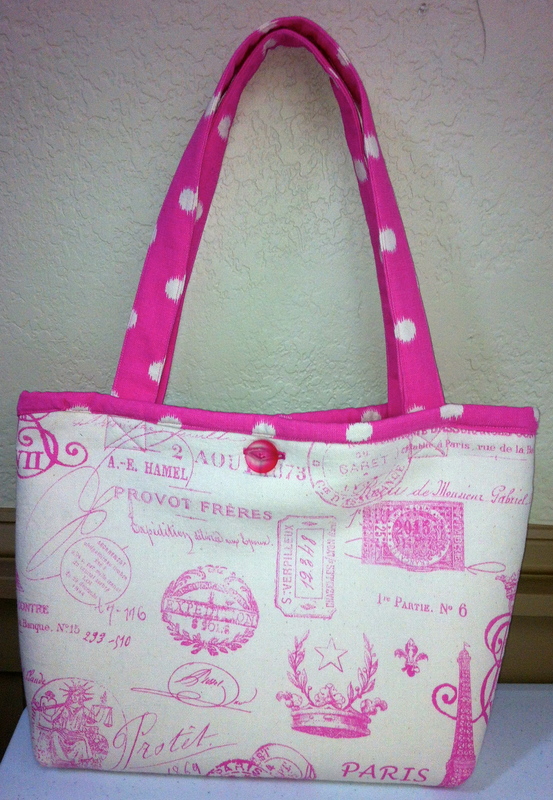 Sarah’s tote is made from a beautiful French-inspired cotton, with a bright pink coordinating lining. Someone needs to take her to Paris, don’t you think? 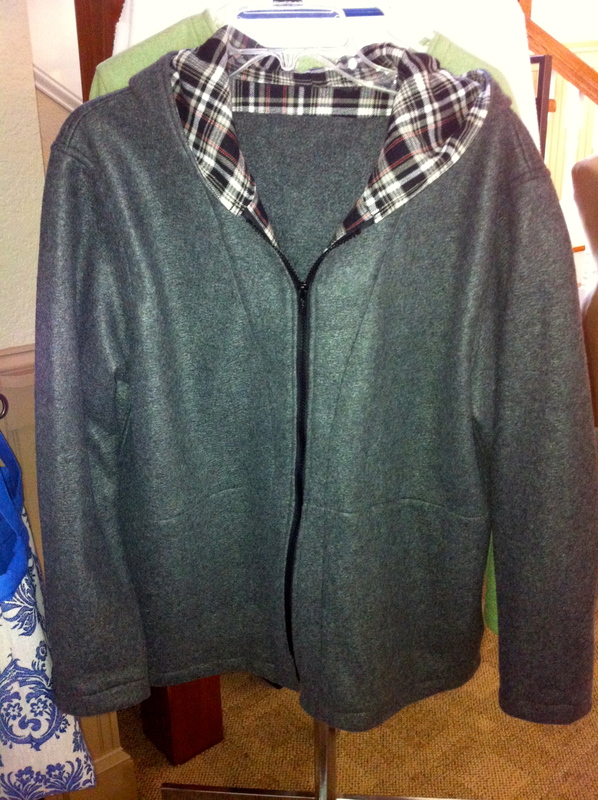 Here’s a sample I (Terri) sewed of the hoodie the students are working on now. We will post their jackets as soon as they are finished! 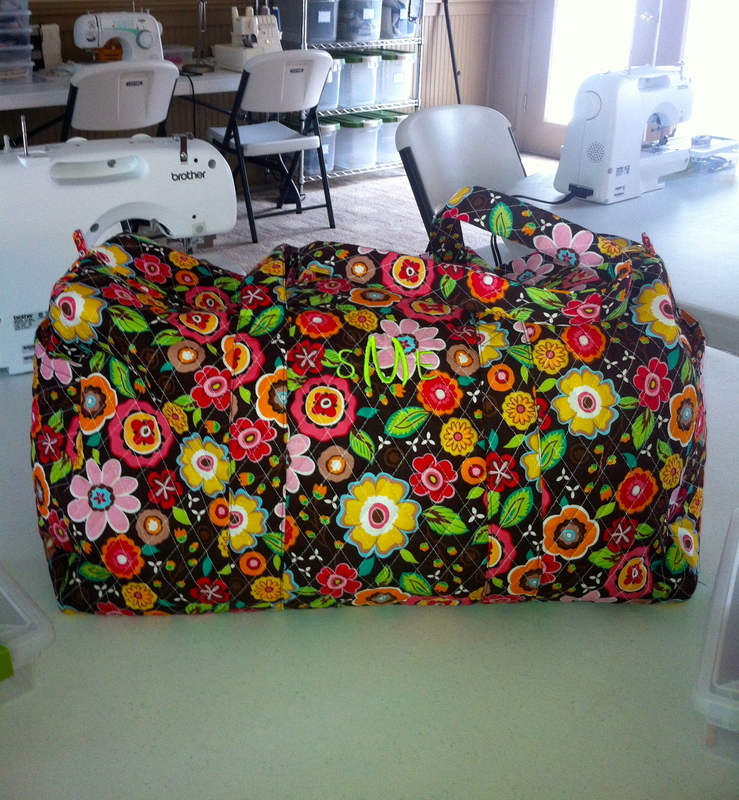 And I just had to share the duffle I made for my mom. She loves Paris, so I knew she would appreciate this fabric. I found it in the home decor section at Hancock’s, and it sewed up beautifully!